I am always happy. My life is perfect. I can and will always do everything right. I have never made a mistake. That was my mask….and I had been wearing it for years. I have been wearing it so long that recently I realized that I wasn’t 100% sure how to take it off. What are people going to think? Is it ok to feel this vulnerable? 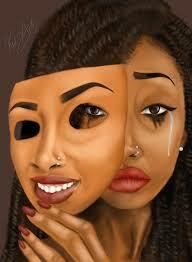 For years, I know I wore this mask but I couldn’t take it off. I couldn’t say that I was failing, that I had made huge mistakes in my past, and that I wasn’t as happy as I looked to be. Anybody that knows me knows that I have an over the top personality, but I had to figure out if that was really me or was that me trying to hide. Was I scared that if I relaxed people would see my failures and my hurts? I hadn’t allowed myself to see that side of me, so how do I show that side to others? So I decided to show myself “myself”. I decided that I had to come to a place that I was ok with all of me… the good, the bad, and the ugly. And that at the end of the day, I am wonderfully made because my Father made me. No, I am not perfect, and yes I have stuff in my past that I am not proud of. I had to learn that my past was just that…my past, and in order to move forward I had to let it go. I had to understand that I was the only one that expected me to be perfect. What does that mean anyway??? Perfect!!! Having all the required or desired elements, qualities, or characteristics; as good as it is possible to be; absolute; complete. So wait a minute….. 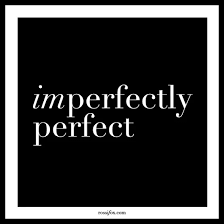 I get to define my perfection and I have decided I am perfect. I am as good as I can possibly be in my current moment. And only God has the right to change what I have decided and He already told me that I am fearfully and wonderfully made. I wasn’t able to get here by myself. It took someone saying at the REAL Women Intensive last year that counseling was ok and necessary sometimes. It took spiritual growth (me crying out to God). It took standing up in a room of supportive women and telling my truth. It took linking up with this amazing, supportive, loving group of women that I am honored to call my sisters. It took me taking off my mask for a second with one of these sisters, and her telling me that she felt like she was just meeting me for the first time. It took all of that to remove my mask, but it was worth every second. I am still a work in progress but I will do this work without that mask on!